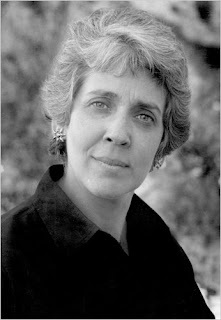 Joanna Russ. I thought she was particularly good as a short story writer. From The Nation magazine, comes an article that's worth a read: "Why Science Fiction Is a Fabulous Tool in the Fight for Social Justice," by Laura Flanders. It's an interview with the two editors of Octavia's Brood, "an anthology of radical science fiction by activist writers." I had the honor of visiting him on death row. I made some Star Trek reference and Mumia just flowed with it—he was like, "Right? Live long and prosper." Mumia is a nerd in all ways; he really sees the visionary realities and possibilities of science fiction. 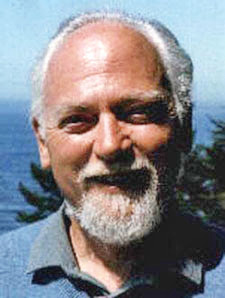 He contributed an essay on Star Wars, US imperialism, and militarism, and also recorded an audio version. It's amazing to hear him not only give this brilliant analysis but also do a Darth Vader impression. Certainly science fiction can be a good vehicle for leftist ideologies, but it works for all sorts of other ideologies, too. Libertarian science fiction is a thing. Joanna Russ did an essay years ago on why Star Trek is better (i.e., more politically progressive than Star Wars. Of course, it was a smart piece — it was written by Joanna Russ — but alternatively it could be read as an example of the dangers of politicizing everything. Hat tip for the Nation article: Ted Hand. I really enjoyed Russ's _How to Suppress Women's Writing_ and _Magic Mommas, Trembling Sisters, Puritans and Pervets_. Well of course Libertarian SF is a "thing"! Before I even knew of the pronounced Libertarian-ness of some SF writers I read, I felt their socio-political attitudes. Russ was an excellent writer and critic. Baen published her. I liked Star Trek better than Star Wars because Trek harked back to written sf--words and ideas--while Wars ushered in the era of visual sci-fi--action and SFX. Of course Trek is now in the hands of JJ Abrams, who hated the "philosophy" and wants it to be just like Wars. Eric Frank Russell's "The Great Explosion" dates from 1962, and libertarians claim Robert Heinlein's "The Moon Is a Harsh Mistress," which came out in 1966, but in general Tringham provides a fair generalization. The 1970s saw an explosion of explicitly libertarian SF, not just from the folks he names, but also L. Neil Smith, F. Paul Wilson, Victor Koman, Brad Linaweaver and probably some other folks I can't think of now.